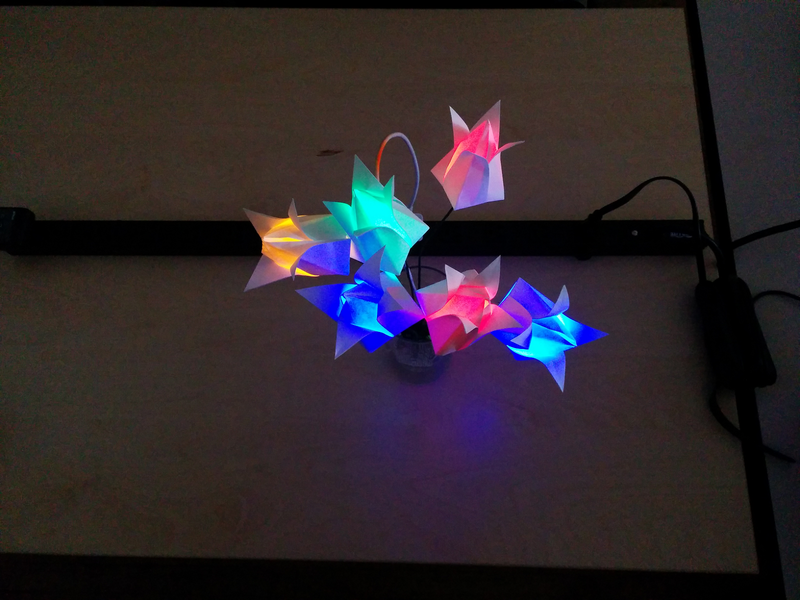 I made a paper electronics display and I remembered to take pictures. 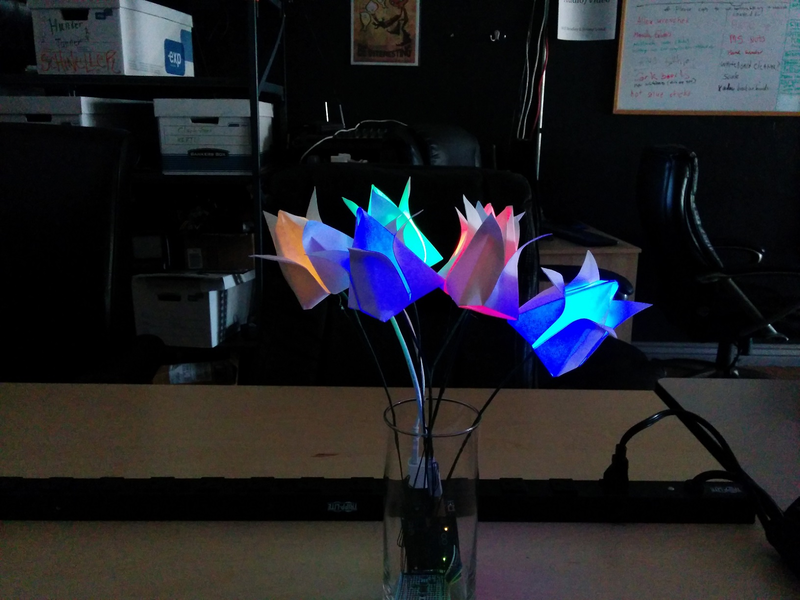 These origami flowers have basic single color LED's in them and they fade on and off at random. This display is going in the Southeast Regional Library (Gilbert) to advertise the upcoming Paper Electronics event on February 19th (register here). If you want to try out these traditional origami tulips YouTube has good videos on how to make them. Keep in mind that the base inflates best if you have thinner paper, or larger sheets. These are standard printer pages cut to squares.